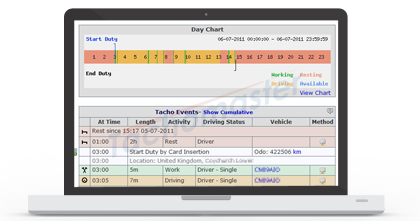 Tachomaster enables you to get the most from your tachograph data. Sign up for a free, no obligation, 28 day trial of Tachomaster. There are no restrictions to your trial. Everything is available to use. Tachomaster has processed over 300 million days of driver data and is relied upon by owner drivers and companies of all sizes. Try the most popular Tachograph Analysis product on the market — with no risk! Using the day view you can find the duration of activities along with a full colour chart, the source of data, what vehicle was being used and handle unforseen circumstances. Falcon users will also be able to see the location on a map at each activity. The DCRS system monitors drivers over their time at your company, helping to identify risk. Using a customisable set of levels and procedures drivers can be monitored and debriefed regarding their behaviour. 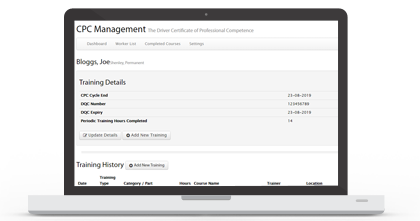 Tachomaster is able to record and help you plan your CPC training for drivers. 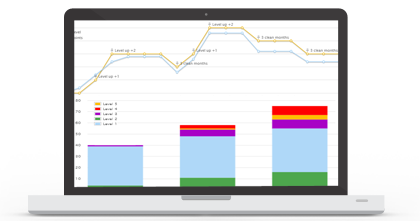 You can customise the training sessions and Tachomaster will calculate how much training required. 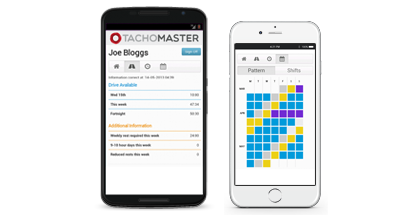 Available on both Android and iOS the Tachomaster Worker app allows companies to give workers access to their data so they can better plan their day and prevent infringements. Using the Detailed Weekly Rest Display you can see all the weekly rests taken by your driver, any reduced periods and where the compensation was taken — or missed. Upload your driver card and all data is processed instantly ready for inspection. 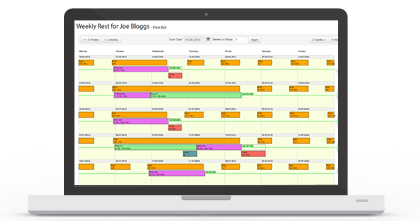 Set up scheduled reports that are emailed on a daily, weekly or monthly basis. Unlock the full potential of your tachograph data with DCRS and Analytics. Your analysed tachographs contain a wealth of knowledge about how you’re using your vehicles and drivers. Tachomaster lets you see, understand and use this information. Naturally all Tachomaster reports let you compare different drivers, depots and regions. You can even generate your drivers’ wages report directly from Tachomaster. Tachomaster also integrates with Falcon Vehicle Tracking. This lets Tachomaster show you exactly where each mode change was made. In return, Falcon will then show you all of your vehicle information – such as fuel consumption – by driver. With Tachomaster there is no risk. 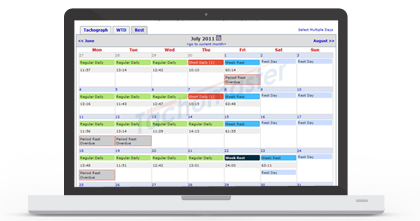 The software is free and the 28-day free trial lets you use everything so you can see that Tachomaster is for you. At the end of your trial, Tachomaster analysis costs just £1 per driver per week (optional vehicle analysis is just 50p per vehicle per week) with no minimum contract period. © 2019 Road Tech Computer Systems Ltd.